On 15 October, a U.S. Federal Court ordered former Timor-Leste legal adviser Bobby Boye to serve six years in prison and repay $3.51 million dollars to Timor-Leste. Although the plea deal effectively ends the criminal case against Boye, many questions remain unanswered regarding the full costs of his crimes to Timor-Leste, as well as who else may have been involved in his schemes. We hope that investigations proceed. 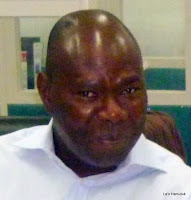 In 2010, Norway hired the Nigerian-American “tax expert” to help Timor-Leste’s Ministry of Finance collect petroleum taxes more effectively, and Boye recommended revising legal documents and filing assessments against oil companies which he said had underpaid their taxes. In 2011, Boye’s pay began coming from Timor-Leste’s treasury, rather than from Norwegian Aid. He supplemented it by inventing a fake company “Opus & Best” and awarding them eight million dollars in contracts from Timor-Leste for legal drafting services. Boye’s scheme began to unravel in 2013, and U.S. authorities arrested him in June 2014, charging him with seven counts of conspiracy and wire fraud for payments totaling $3.51 million dollars that Timor-Leste had sent to “Opus & Best.” Media attention highlighted his conspicuous spending of his ill-gotten gains, using them to buy luxury houses, cars and watches. Unfortunately, we have not seen much interest in repairing the weak systems that allowed his scheme to take place, or in finding out if Timor-Leste officials were involved, either by conspiracy or negligence. La’o Hamutuk began researching public sources, and we quickly learned of many events in Boye’s life which should have prevented his employment – being banned from trading stocks, forgery, personal bankruptcy while concealing assets, conviction and imprisonment for embezzlement, nonexistent legal experience, fake business registration, among other things. A Norwegian journalist unearthed further information about his fraudulent educational claims, references and employment history. In July 2014, La’o Hamutuk wrote to U.S. prosecutors, providing information which we believed would help them understand the case and investigate it more effectively. In April 2015, Boye pleaded guilty to one count of wire fraud, avoiding 140 years of prison time, as well as a trial which could have brought more information to light. As negotiations proceeded on his sentence, we wrote to the prosecutors again, explaining that the cost of his crimes to Timor-Leste may have been fifty times more than the $3.5 million he stole directly. On 15 October, U.S. Federal Judge Freda Wolfson sentenced Boye to six years in prison, followed by three years of supervised release. He will begin his prison time on 30 November, probably at the Fort Dix Federal Correctional Institution in New Jersey, a former U.S Army base. The court also ordered Boye to pay $3.51 million in restitution to the U.S. Treasury, to be distributed to Timor-Leste's attorney Pierre-Richard Prosper of the Arent Fox law firm. The payment is due immediately, although a schedule may be worked out. The Court generously did not require Boye to pay interest (which could be a million dollars or more) and ignored La'o Hamutuk's explanation that Boye's crimes could cost Timor-Leste $176 million. U.S prosecutors announced the sentence in a press release, which was reported in New Jersey media. La’o Hamutuk has compiled a comprehensive, updated web page on this case, with links to many legal and other documents. We hope that the competent, responsible authorities in Timor-Leste will use it to help find out which Timor-Leste laws were violated, what systems must be fixed, and who else was involved in Boye’s crimes.